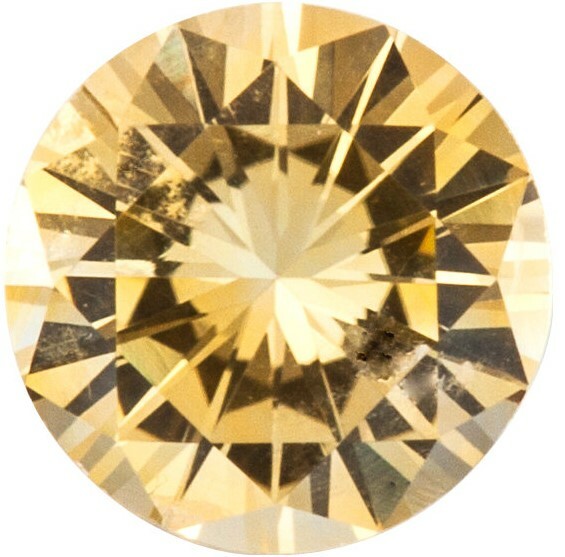 Description This A Grade Yellow Sapphire Displays An Intense Light Yellow Color and has a very good cut, polish and a clarity rating of eye clean. Round Precision cut Sapphires are cut to the highest tolerances for brilliance, symmetry and dimensions, very similar to ideal cut gemstones. Precision cut Sapphires are more suitable for very fine quality pave diamond jewelry. Our Yellow Sapphire Gemstones have been subjected to traditional heat treatment. NOTE: The carat weights of the Grade A Yellow Sapphire Round calibrated gemstones listed here are only approximate weights. The actual carat weight of the Round Yellow Sapphire you receive can be more or less than the listed carat weight. Calibrated Round shaped Yellow Sapphire Gemstones are based on dimensions, not carat weight. NOTE: Calibrated standard sized gemstones/diamonds are very carefully graded by our grading experts, so that every Grade A Yellow Sapphire is very similar and virtually identical in color, clarity and cut. The image you see is not the actual gemstone you will receive, but one chosen by professional grading experts.